A getaway from the anonymity , scale and frantic pace of downtown Chicago. Each of their 165 guest rooms and two suites combines the sophisticated decor and serene residential ambience to create true urban haven. Step inside and you’ll immediately sense it: Our House…You’re Home. Their restaurant, Juniper is an upscale, yet approachable restaurant and bar off the Claridge House lobby. Chef Felipe Patron leads with a guiding mantra borrowed from Ernest Hemmingway—“Be happy, make plans.” The seafood-focused menu brings a vast selection of fresh oysters and crudo, flatbreads, sandwiches, and more with cocktail collections including classic martinis, craft cocktails, and mocktails. Guests can enjoy also bites in the lobby lounge and bar. Yelp and Google give it high reviews and it is a favorite of the WCG editor. Not only will you find great shopping and dining at the Promenade in Bolingbrook, but you will stay and play in style. This Starwood hotel is convenient to the Mag Mile, the Theatre District, and many River North attractions. Aloft Chicago O’Hare provides a free shuttle service to and from the airport. MB Financial Park is located just around the corner where you will find the perfect dining and shopping. Historic hotel in Gold Coast neighborhood of Chicago with spacious 285 room suites individually furnished with integrity and taste. There is no place like home but with the renovated Suites and updated furnishings it will feel like a home away from home. Discover Chicago with a short train ride downtown or walk to the Allstate Arena to catch year-round concerts and special events. Best Western Provides great location and convenience. 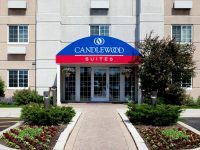 Situated near Six Flags Great American and Gurnee Mills Outlet Mall. With Modern style and luxurious amenities, the Best Western Plus is the perfect place for travelers looking for home. This Hillside hotel is in close proximity to some of the most revered attractions in the city at an affordable rate. Daily continental breakfast Located 12 miles from downtown Chicago. Walking distance from Lake Michigan beaches and northwestern University. Located on South Michigan Avenue and Grant Park, this is one of the finest historic downtown hotels in Chicago.